The Fourth Judicial District Commission on Judicial Performance in a 8-2 vote, recommends Judge Karla J. Hansen BE RETAINED. Judge Hansen was appointed to the County Court bench for El Paso County in 2001. Prior to her appointment, Judge Hansen was in private practice and sat on the Municipal Court Bench as a Judge. Judge Hansen started her practice of law as a Deputy District Attorney. 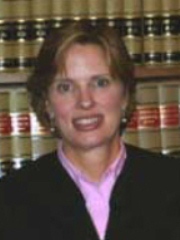 Judge Hansen received her law degree from University of Utah. Judge Hansen is currently handling a full County Court docket. Judge Hansen has been active in the community, including speaking engagements, her church, Teen Court, and high school Mock Trial. Judge Hansen received lower than average marks in the attorney surveys in most categories. Some very notable areas of concern were “being fair and impartial to both sides of the case” where her score was 2.73 and the average Judge’s score was 3.18. The biggest area of concern was “demeanor,” specifically the area of “treating participants with respect” her score was 2.68 and the average Judge was 3.39. The Commission was also concerned that her bias scores favored the prosecution; 61% of the attorneys surveyed felt she was either very biased or somewhat biased. In the non-attorney scoring the results were mixed, with average scoring in fairness, communication, and application of the law. Judge Hansen scored above average in diligence. Overall however, the Commission was very encouraged in what it feels is growth and self-awareness on the part of Judge Hansen. She has taken the steps to become a better judge, and the Commission believes she should be retained in her position as a County Court Judge.